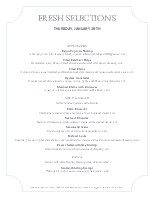 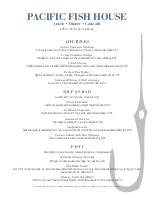 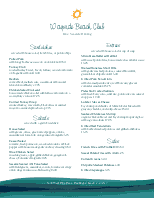 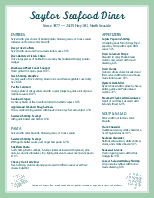 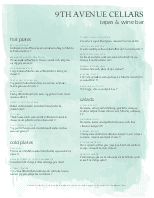 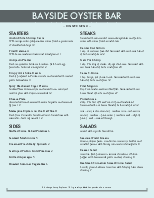 This simple seafood menu works as a fresh sheet or as a stand alone seafood restaurant menu. 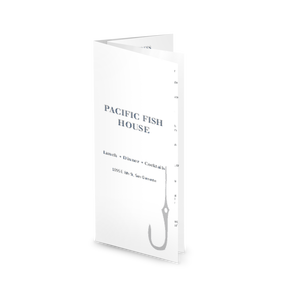 The clean classic layout is accented on the right with a stylized hook to let your guests know that your fish is freshly caught. 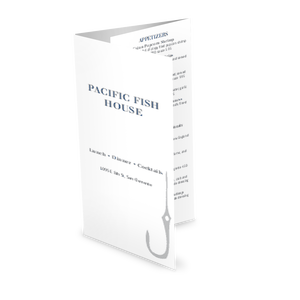 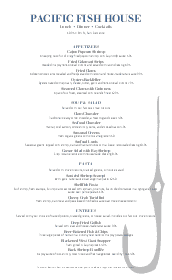 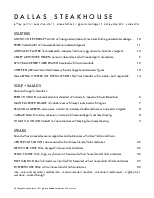 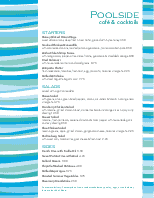 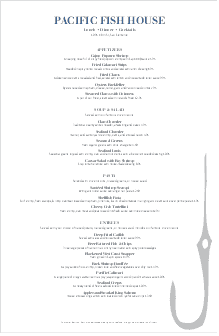 This seafood menu can be customized online, and it's easy to add your logo or images.